OPTIMA® Batteries, the global leader in high-performance automotive and marine batteries, prepares for the fourth annual OPTIMA Ultimate Street Car Invitational, presented by KN Filters and Wilwood Disc Brakes, by revealing the second round of qualifiers invitees. This next round represents a variety of industry-leading muscle cars, pro-touring cars, and hot rods, from both import and domestic manufacturers. The current list of drivers range from newcomer enthusiasts to seasoned industry veterans. Initial qualifiers invitees were recruited through a series of events of similar format that tested drivers’ skills and vehicle performance power. While the majority of the OPTIMA Ultimate Street Car Invitational participants have been selected, there is still one additional opportunity to make the final cut. During the SEMA Show, a committee made up of OPTIMA and industry representatives will walk the show floor in Las Vegas, looking for the best of the best across all vehicle segments. This final search will be promoted during the show and the final vehicle invitations will be awarded during the SEMA Show at the OPTIMA Ultimate Street Car Invitational press conference to be held on Thursday, November 3rd at 11:30 a.m. PT in the OPTIMA Batteries booth# 22755, located in the center hall. The Invitational will take place at Spring Mountain Motorsports Ranch, a state-of-the-art racing facility in Pahrump, Nevada, during the first week of November. The Invitational brings in some of the top automotive talent, highly-modified vehicles, credible racing veterans and fresh talent with undiscovered street machines. The main race activity of the OPTIMA Ultimate Street Car Invitational takes place on Saturday, November 5th and will offer something for every race fan with the BFGoodrich Hot Lap Challenge, the Ridetech Autocross Challenge, the Wilwood Disc Brakes Speed Stop Challenge, and the Raybestos Performance and Design Challenge. The Detroit Speed and Engineering Road Rally will occur the day before, following the close of the SEMA Show. New this year, fans will be able to view the action from the front row for the first time ever. A limited number of spectator tickets will be available for purchase and less than 700 remain as of today. Spectators and fans can purchase tickets online through November 4, 2011, or until the event sells out. 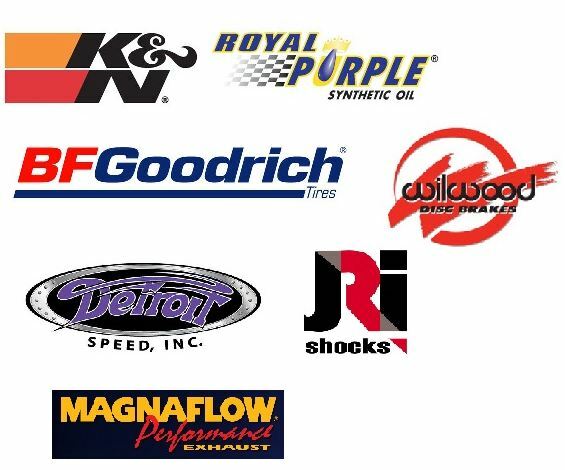 Sponsors of the 2011 OPTIMA Ultimate Street Car Invitational include the presenting sponsors, KN Filters and Wilwood Disc Brakes, and the race event sponsors, including BFGoodrich, Ridetech, Wilwood Disc Brakes, Raybestos, Detroit Speed and Engineering and MagnaFlow. Additionally, The Roadster Shop is an associate sponsor for the OPTIMA Ultimate Street Car Invitational. Click here for the official rules and more information on the event.